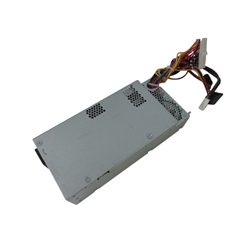 Description: New genuine Acer 220 Watt form factor computer power supply. You will receive either a Liteon, Delta or Chicony power supply depending on availability. Acer uses all 3 interchangeably. Compatible Part #'s: PY.22009.002, PY.22009.003, PY.22009.005, PY.22009.006, PY.22009.008, PY.22009.009, PY.22009.011, PY.2200B.001, PY.2200B.002, PY.2200B.003, PY.2200B.004, PY.2200B.006, PY.2200B.008, PY.2200B.009, PY.2200B.011, PY.2200F.004, PY.2200F.006, PS-5221-06, CPB09-D220R, PS-5221-06A2.